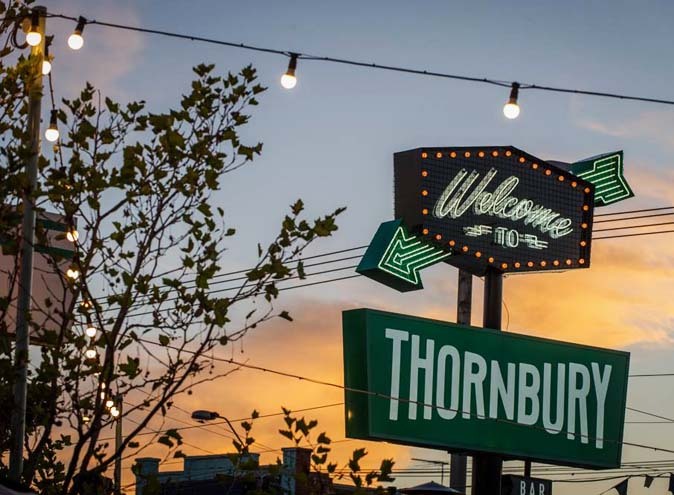 So Melbourne, we have a long weekend coming up – and it’s going to be filled with footy, frivolity, and beer… lots of beer. If this doesn’t sound like your idea of a perfect three day break, then how about getting right out of the way and heading out of the city? 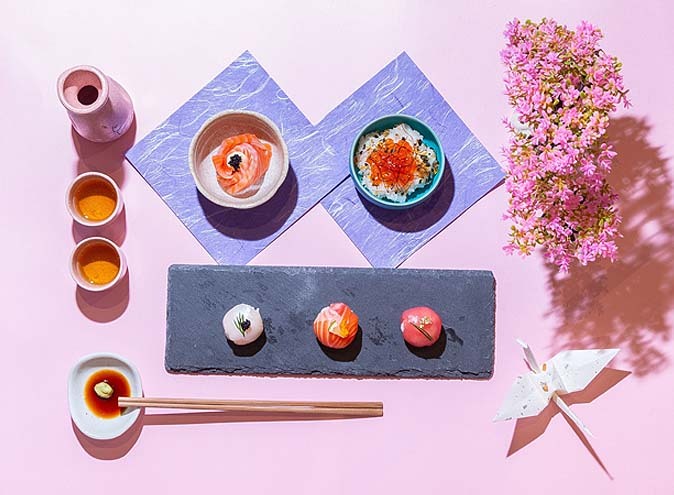 They say a change is as good as a holiday, but these spots – all a stone’s throw from the CBD – will provide you with the best of both worlds. O.K, so this one is a bit cheeky, seeing as it isn’t outside of Melbourne; but it’s included for those of us who might be tight on time and/or transportation, yet still want to feel like we’re getting amongst nature. 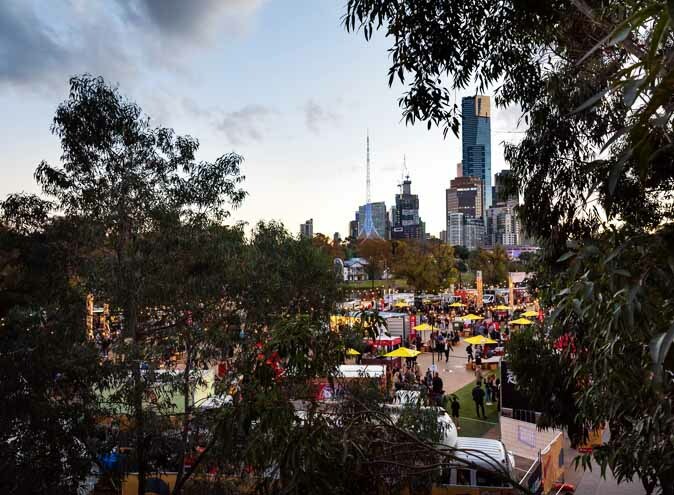 To make the most of the day, pack yourself a posh picnic (complete with a bottle of wine, a blanket, some cushions and assorted scrumptious treats), bring the Frisbee and some music, and hope like hell the rain stays away for a few hours (come ON, Melbourne, I believe in you!). For somewhere an hour north-east of Melbourne, the Yarra Valley seems worlds away. If food and drinks are your thing (and you’re not driving), there are an abundance of gorgeous wineries to explore. 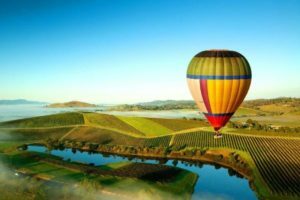 Some of the ‘must-do’s’ include Domaine Chandon (for their free winemaking tours and amazing surroundings), Yering Station (for their beautiful produce and tastings), and Tarra Warra Estate (for the views). If a sunny afternoon of touring visually vivacious vistas and sipping primo pinot isn’t up your street (defensible – in my opinion – only if you’re the sober driver), then perhaps a meander through some fabulous artworks sounds more appealing. Three Stories Artspace and a range of small, local art studios are on hand, as is the TarraWarra Museum of Art. 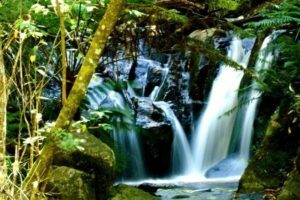 Renowned for breathtaking forests, mountains and waterfalls, the Dandenong Ranges are a must-do for any visitor to, or resident of, Victoria. 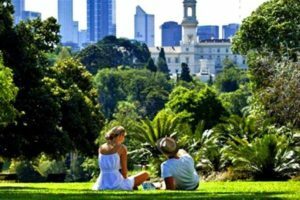 In fact, one of the best views is of Melbourne itself – in all her rambling glory – from Mount Dandenong, 633 meters above seas level. While you’re up there, grab a bite to eat at SkyHigh Mt Dandenong – the highest point in the Dandenong Ranges. Another cool little local attraction is Puffing Billy – a steam train that winds its way from Belgrave through the some gorgeous scenery to Gembrook. If you’ve got time, jump off at Emerald Lake for a wander or a picnic. The summer spot for Melbourne’s ‘in the know’ crowd, Mornington Peninsula is less than an hour’s drive south-east from Melbourne, and has something for everyone. Channel your inner Scotsman and walk up to Arthurs Seat (the highest viewing point on the peninsula), soak up the surroundings in comfort at the peninsula hot springs, or head all the way across the Peninsula to get well and truly amongst nature at Point Nepean National Park. If you’ve got little ones in tow, the Enchanted Maze Garden is ideal. Its features of note include three hedge mazes, one indoor 3D maze, four giant slides, multiple themed gardens, as well as one outdoor sculpture park. 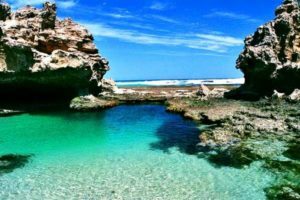 Sorrento and Portsea are also well worth a visit – and perhaps a stopover if you’ve got time. Less than two hours from Melbourne, Phillip Island boasts wetlands, coastlines, nature reserves – and penguins. That’s right guys, you can have your fill of penguin-esque goodness (figuratively, of course) at the ‘Penguins Plus Viewing Platform’ and the ‘Penguin Sky Box’. 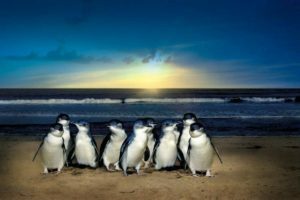 If that isn’t enough to satiate your love for penguins, then maybe the ‘Ultimate Penguin Experience’ will: you get access to a secluded beach with your own personal park ranger and night vision technology for an immersive penguin experience. 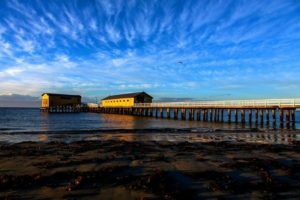 Phillip Island also offers a number of other activities to get amongst – with aqua-biking, rafting, kayaking, paintball, laser strike, biking, and fur-seal spotting as just a few of the options available. Queenscliffe is a gorgeous little seaside resort which boasts some of the most Victorian-era charm in Victoria. Whether your ideal getaway involves perusing local art galleries and craft stores, ambling through quaint marketplaces, or sampling culinary delights, Queenscliffe has something to offer. Feel more ‘salty sea dog’ than ‘bush whacker’? Then go one nautical mile further and catch the ferry for a 40-minute journey across to Sorrento on the Mornington Peninsula. Departing from both ports hourly from 7am to 7pm daily, the ferry ride is a pleasant day out in itself. If you’re one of those ‘getting there is half the journey’ types, then you’ll love the scenic beauty of the Great Ocean Road. Spanning from Torquay to the Shipwreck Coast, you’ll pass through villages, forests, coasts and (my personal highlight) the famed 12 Apostles – majestic stacks of limestone, formed over 10 million years ago. If you do think a destination is in order, set Google Maps directly for Daylesford. Around an hour and a half from Melbourne, Daylesford is chocka-block with day spas and natural springs, making it a retreat for even the most discerning connoisseur. Less than two hours north-west of Melbourne, Bendigo retains its heritage as a mining boomtown (boom). 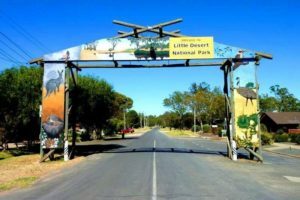 You can get amongst that history by paying a visit to the Central Deborah Gold Mine, where you can pick (mining pun there) from three tours: the ‘Mine Experience’, ‘Underground Adventure’ or – for the most adventurous – the ‘Nine Levels of Darkness’. 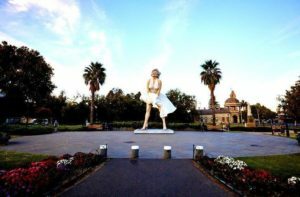 If you’re more into dining than mining, Bendigo still has your back, with an array of cafes, restaurants and pubs to tickle your fancy. 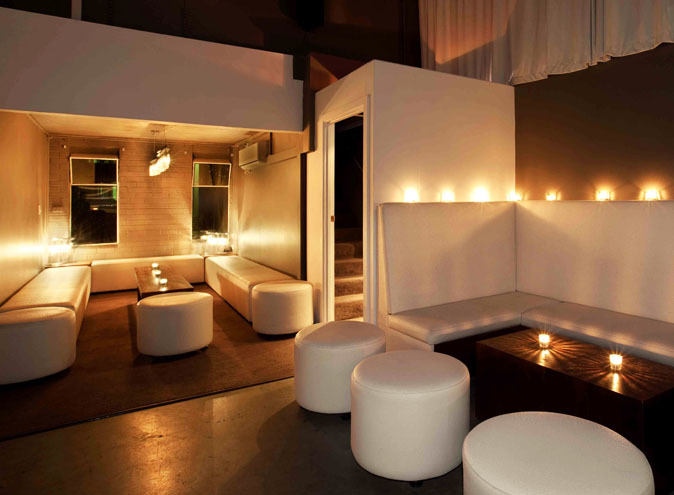 Alright, this one is a little further out (at about four hours’ drive from Melbourne) but trust me, it’s worth the drive. 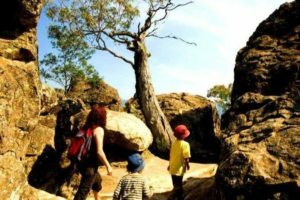 If you don’t fancy the return journey in the same day, you can camp beside the Wimmera River, and spend the whole weekend enjoying bushwalks, bird watching or four-wheel driving. 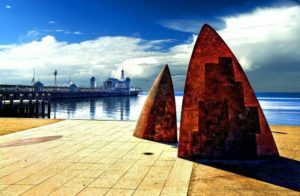 Geelong is only an hour away from Melbourne, but introduces completely different style of CBD. There’s enough to see and do to fill the weekend – with national parks, waterfronts, gardens, art galleries and, of course, some very cool bars and cafes to sample. If you don’t go this weekend, perhaps check this one off on the weekend of the 29th October for the ‘Toast to the Coast’ wine festival.